New Delhi: The contentious Land bill on Tuesday passed the Lok Sabha test after the government carried out nine amendments to it and persuaded most of its allies to support, setting the stage for its consideration in Rajya Sabha where the numbers are loaded against the government. 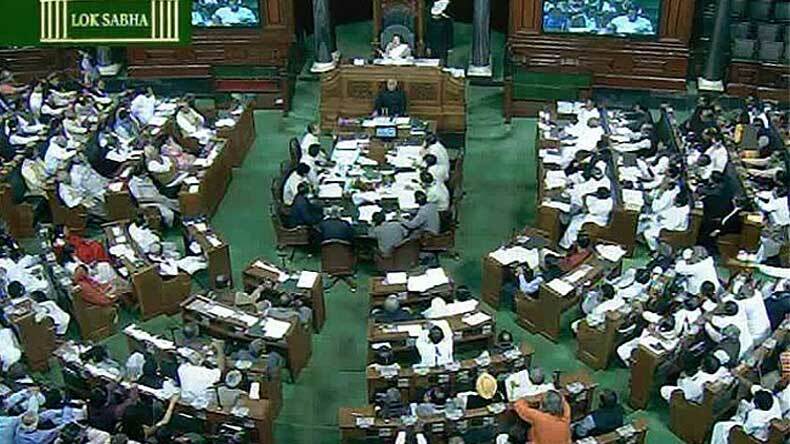 Congress, Trinamool Congress, Samajwadi Party, RJD and BJD walked out of the House while NDA ally Shiv Sena abstained as the Right to Fair Compensation and Transparency in Land Acquisition, Rehabilitation and Resettlement (Amendment) Bill 2015 was passed by voice vote. Another NDA ally Swabhimani Paksha moved an amendment which was negated. In an attempt to placate the opposition and some unhappy allies, government brought nine official amendments and added two clauses to the controversial legislation. Notwithstanding its majority in the Lok Sabha, government reached out to its allies, making last minute calls to their leaders to persuade them not to break ranks. Opposition had moved 52 amendments, which were either negated or were not pressed for by the members. The bill is now set for the real test in Rajya Sabha where the NDA is in a minority and opposition is united in opposing it or sending it to a Parliamentary Committee. Even while moving the bill for consideration, Rural Development Minister Birender Singh said the government has already incorporated several suggestions, many of them offered by the opposition, and was willing to accept any more suggestions of the opposition if those were in the interest of farmers. The bill is now set to face a major hurdle in Rajya Sabha where NDA is in a minority and some allies are also not on board.